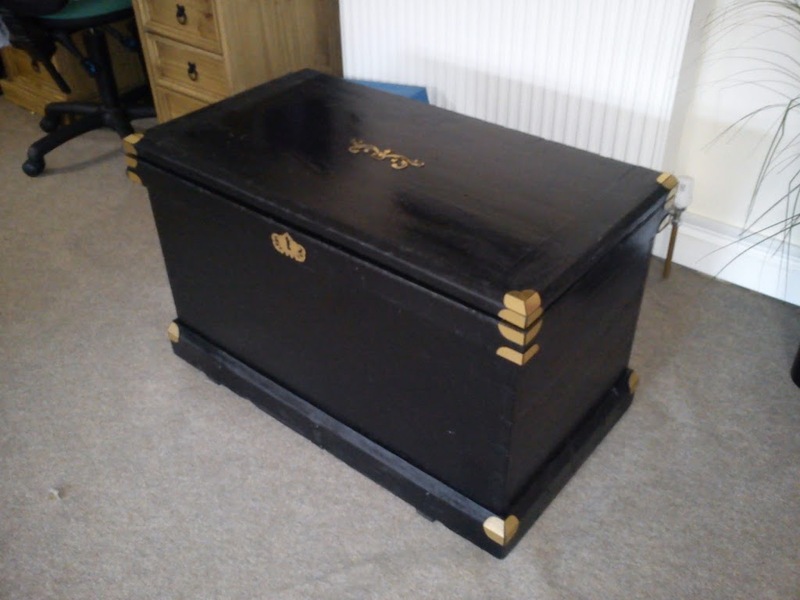 I was fortunate enough to acquire a large wooden trunk to store some of my kit in. 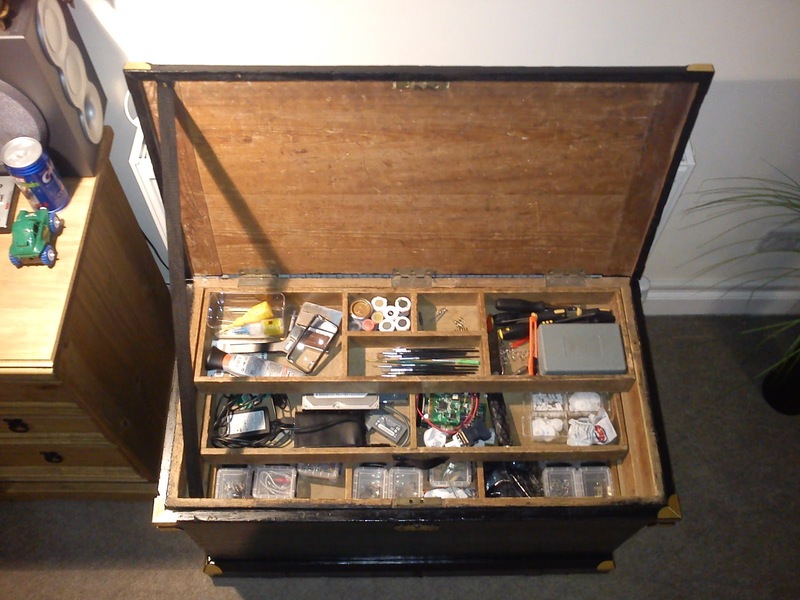 It was in a very sorry state so a tub of black paint and some laser cut corner pieces later and we have the Victorian Gentleman’s Travelling Electronics Case, perfect for quick jaunts by steam ship or dirigible! Sorry for the lack of before pictures, I had nearly finished before I remembered! I have some handles on the way but they have not arrived yet. Not much to say on a technical note other than a cheat for sticking everything together. Rather than cutting everything then applying glue or similar I backed the brass engraving laminate with double sided industrial tape then cut it. Made fitting really quick as I could just peel and stick.